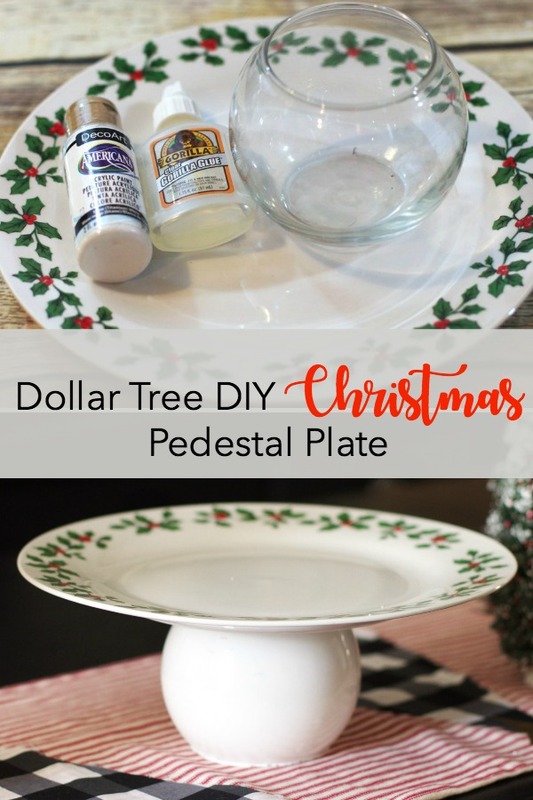 See how to make a Christmas Pedestal Plate for $2. What???? I know! 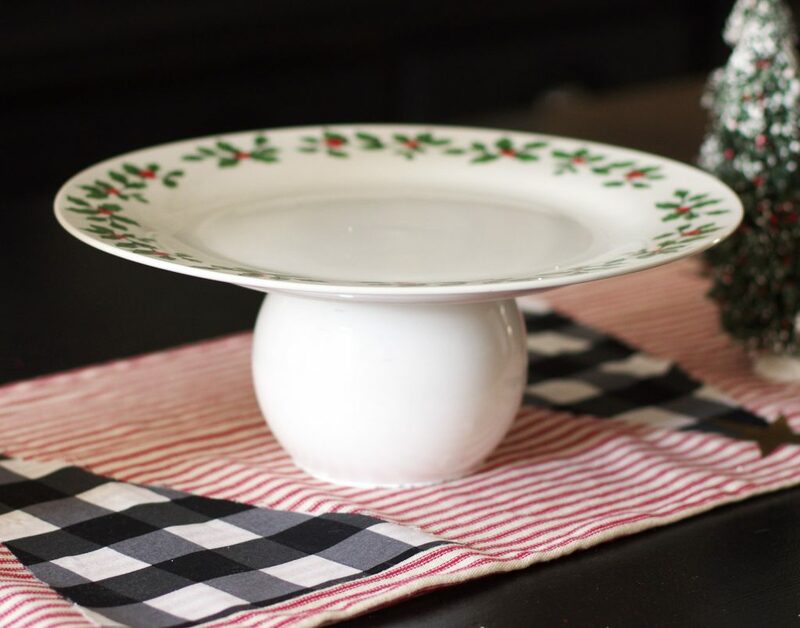 I adore pedestal plates. I don’t know what it is about them. They just seem so classy, right??? They really jazz up a table. Especially for a special event like Christmas. 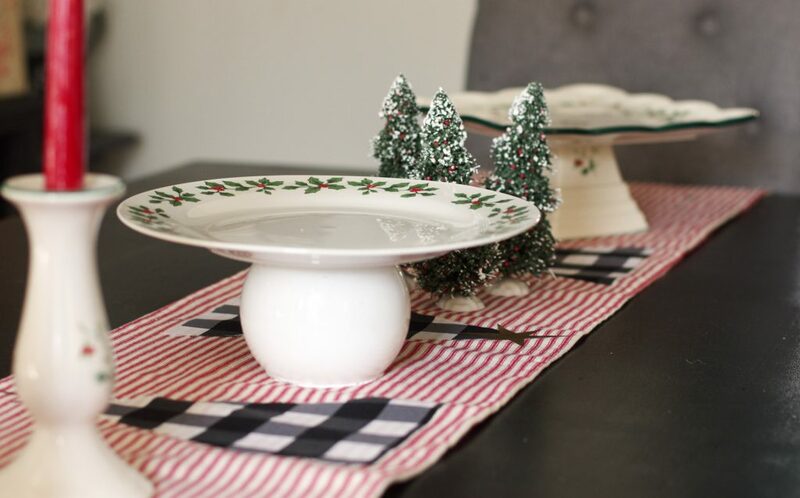 I made this one with a glass bowl and a ceramic Christmas plate from the Dollar Tree. 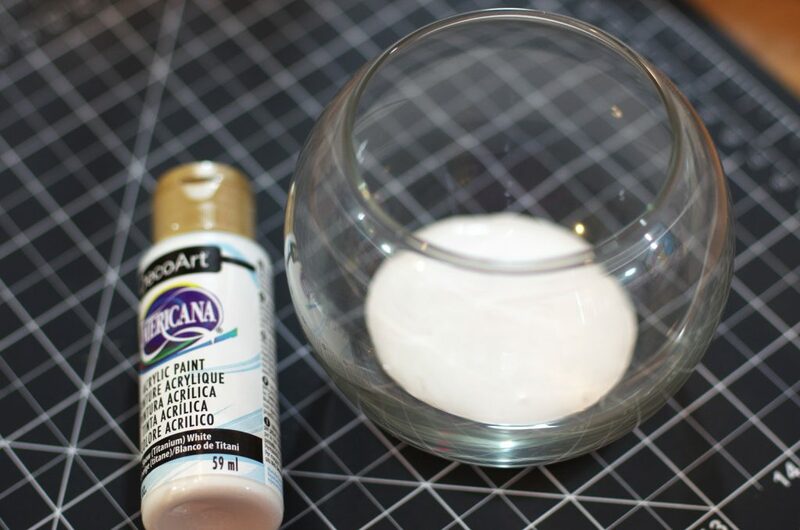 All I needed to make it was the plate, the bowl, some white acrylic craft paint (I used Americana by DecoArt), and a bottle of clear Gorilla Glue . 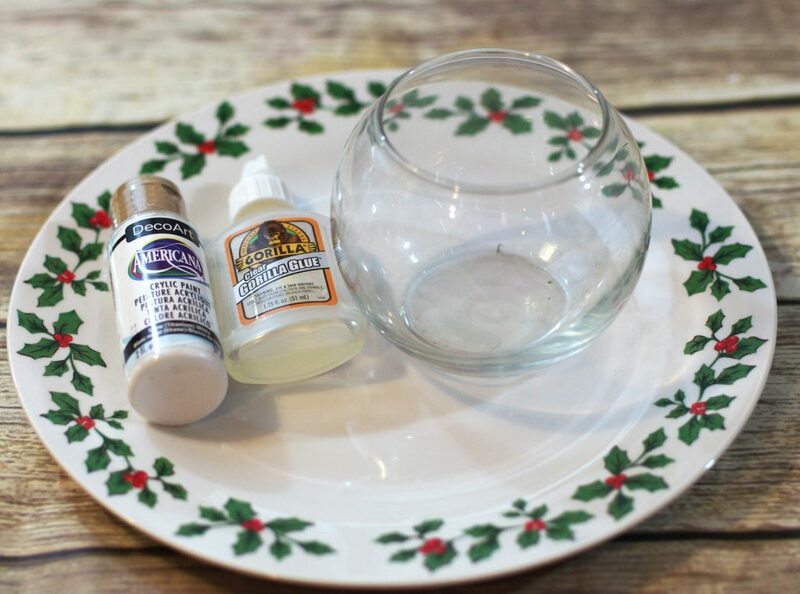 Step One – Add some paint into the clear, glass bowl and swirl! 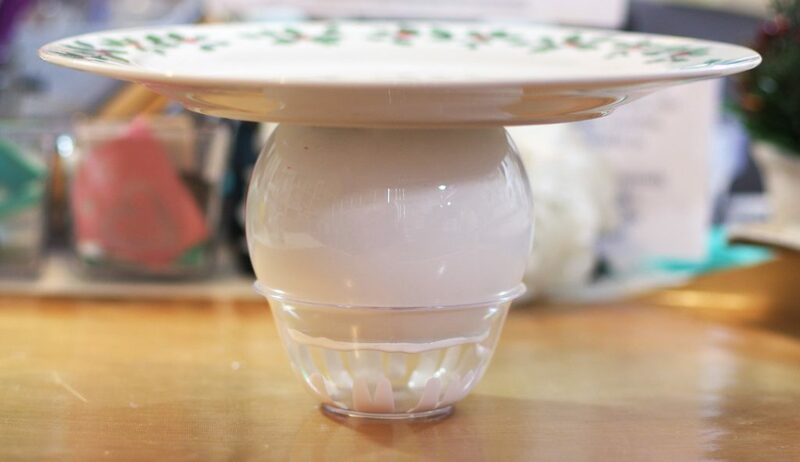 Place the inverted bowl over a plastic cup and let the excess paint drain. 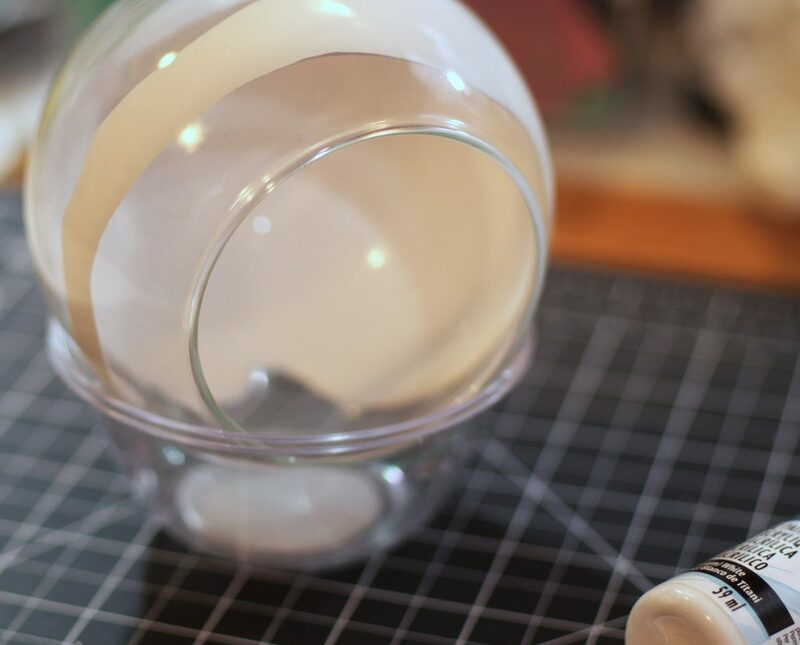 Next, glue the plate onto the bottom of the bowl and let everything dry for a few hours. That’s it. 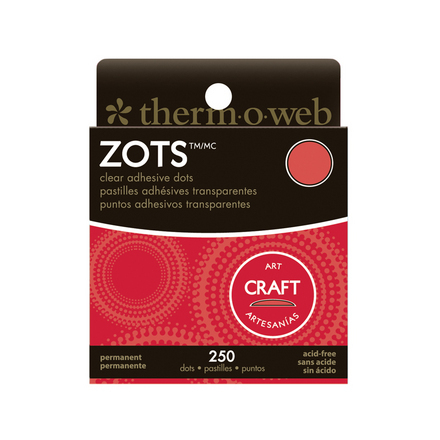 So easy and inexpensive to make. 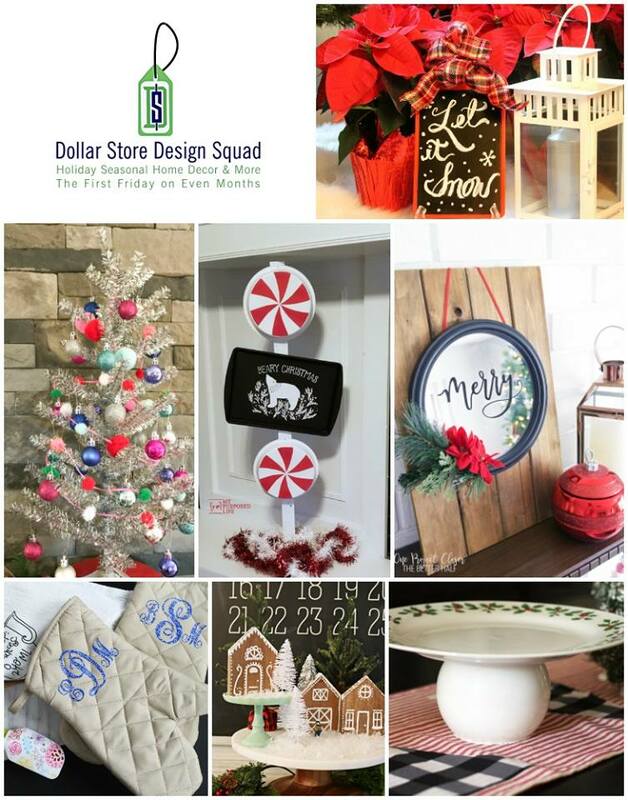 I love easy Dollar Store projects like this! 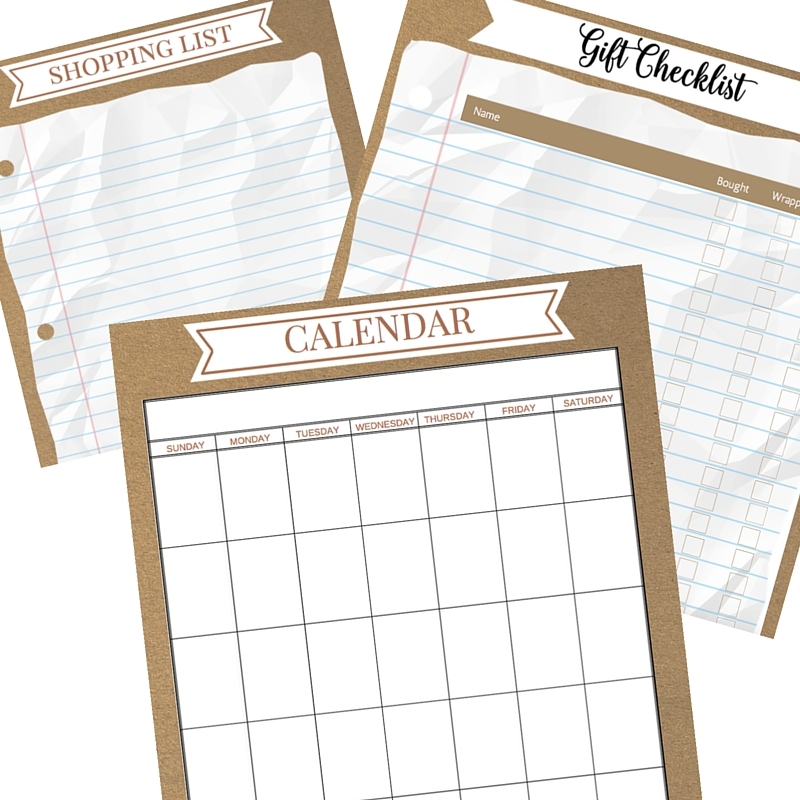 I can see these in a grouping with yummy appetizers or desserts (or both). thanks for joining in the challenge this month! What a cute project! I have made some pedestals from thrift store dishes but hadn’t thought to paint the bottom to get the right color! I’ll definitely be doing that! Thanks for the idea!